Last weekend I was a featured presenter at the American Marketing Association's International Collegiate Conference in New Orleans. I spoke to the students about how to stand out above the noise in the job marketplace, and I also spoke to a group of faculty. I engaged the faculty in a lively discussion about changing the conversation about marketing....how to train the next generation of marketers to make sure we have the right talents and capabilities, in order to put new graduates into the market with the best foundation possible. The working environment is changing for most industries and functions. The training that worked just a few years ago won't fly in the future. How are you preparing your workforce to be successful moving forward? Are your teams taking the right steps now to be effective contributors later? It's a conversation worth having. 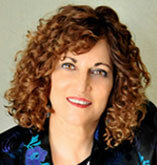 Rose Fass, is the founder and CEO of fassforward Consulting Group, a leading edge business transformation firm that works with Fortune 500 executive teams on translating strategy, driving change, and growing leadership. As the Chief Transformation Officer at Xerox, she led the transition to the global industry and solutions business—integrating acquisitions, diverse cultures and operating units to develop and execute their enterprise strategy. In this podcast, Rose discusses the chocolate conversation and how it affects the culture of a company, as well as why leading change can be bittersweet. Speed is revered in our culture...we hear about the need to improve speed, agility, acceleration, to be first to market. It may sound counter-intuitive, but sometimes the best way to achieve speed is to start out slowly. As a musician, I know that the most effective way to learn a difficult, complicated piece is to work through it slowly, tackling the challenging parts as they occur and learning to play with accuracy before pumping up the tempo. This is in spite of the fact that I'm a pretty darn good sightreader, and I can play many pieces of music fairly well on the initial read through. But it's the subtleties and nuances that need to be worked through, and the best way to do that is to start slowly and gradually crank up the tempo. Are you taking the time to work out your strategies before jumping into implementation? It may be the best way to get off to a fast start. My new book, Marketing Above the Noise: Achieve Strategic Advantage with Marketing that Matters, is now available. Order now. This morning, at the Million Dollar Consulting Convention in Atlanta, I had the opportunity to hear Dr. Martin Seligman speak about well-being. Seligman, the noted author of Learned Optimism, told us that rather than reducing stress in the workplace, we should be looking at increasing well-being -- for the individual, the corporation, and the nation. He shared research that shows that focusing on improving positive emotion rather than attempting to reduce misery has much longer, more dramatic effects. Concentrating on what you're good at is much more effective than trying to improve your weaknesses. Increasing engagement (and flow), building good relationships, and finding meaning and purpose in what you do all leads to resilience and well-being. Furthermore, Seligman said that all of these factors can be learned and are measurable. What are you doing in your organization to help increase the well-being of those you interact with? This includes not just your employees and your suppliers, but your customers as well. Are you improving the collective well-being or adding additional obstacles for your audiences to navigate? At the recent LeadOn Conference for Women, sponsored by Watermark, I had the opportunity to chat with Maya Strelar-Migotti, Vice President and Head of Ericsson’s Silicon Valley site. Strelar-Migotti is passionate about helping women, particularly technical women, break through the barriers that are holding them back. Her involvement in this area goes back to her work in Sweden as a member of a highly influential mentoring network sponsoredby the King of Sweden. Five years after moving to Silicon Valley, Strelar-Migotti says there’s still not enough movement in terms of increasing involvement of women in senior executive roles and onboards of directors. In fact, she says the US is behind many other countries where Ericsson has operations, including China and Madrid, where more than a third of the engineering population is female. I asked her what’s holding women back here. She notes that more women with the right technical qualifications are needed to apply for higher-level technical roles. That’s why added focus on getting more girls and women involved with STEM areas is so important—especially since in both the US and Sweden the trend is to see less women entering STEM-related fields. But Strelar-Migotti says that’s not enough. Companies need to accept responsibility for changing the work environment as well. Ericsson created a Women in Leadership organization that organized speed mentoring, invited guest speakers, and brought in talent management executives to explain career paths opportunities. That wasn’t enough. The company realized it could not just work through women—it had to involve the entire extended management team on site. Strelar-Migotti says Ericsson tries to raise awareness of unconscious biases so they can be addressed. They established the role of company engagement manager, realizing it was important to build the proper culture across everyone at a site, not just the women. “If you want to have change, you need to create a baseline and a framework,” she says, noting that Silicon Valley is tougher than many other places because of the large number of engineers needed. There are also many different nationalities that interact at a site like Ericsson’s. Each group brings their own subculture, which needs to be integrated into the culture of the bigger organization. Ericsson has set metrics for success. The company conducts an annual survey of employee engagement, diversity, and inclusion and compares results to previous years. Ericsson also looks at the number of managerial roles filled with women within a business unit to see if progress is being made. For women, her advice is simple. “Tell management what you want. Have an open dialogue with your manager,” she says. The payoff, she says, is that companies that create more diverse environments perform better. Millennials in particular are looking for companies where they feel the environment is more gender neutral, she notes. Last week I had the opportunity to eat at a restaurant in Tampa, FL called Bern's Steakhouse. Inside a white nondescript building is an incredibly well-tuned operation...from the extensive menu (yes, there's more than steak!) to impeccable service, the world's largest private wine collection, and a separate dining area just for desserts. My local colleagues had arranged a kitchen and wine cellar tour for us where we learned that all servers intern in the kitchen for 18 months before they are allowed to wait on guests. Our server that evening was a captain who proudly told us he had been working at Bern's for over 40 of the restaurant's 59 years in operation. From the moment we walked in the door, we received an outstanding dining experience with an amazing attention to detail. No wonder this is a Tampa institution. Unfortunately, this type of attention to customer service is rare in today's environment. But imagine how your organization could benefit by providing customer experience that is this well done. My new book, Marketing Above the Noise: Achieve Strategic Advantage with Marketing that Matters, will be available March 24. Preorder now.